The Virginia Department of Transportation (VDOT) says its goal is to make one lane of all Northern Virginia subdivisions passable by Wednesday at 6 a.m., but the daunting amount of snow is one of many factors that has impeded speedy snow removal. VDOT says passable is defined as the ability for a rear wheel drive vehicle to operate safely. This means that roads will not be cleared down to bare pavement and will not be cleared curb to curb. The blizzard that dumped about three feet of snow in this area over the weekend was “historic,” VDOT officials said. As with previous large storms, (i.e. in 2003 and 2010), they are urging residents to be patient. In Reston, many residents of VDOT-plowed neighborhoods have been voicing their frustrations 48 hours after the snow stopped falling. VDOT officials said clearing the remaining subdivisions involves heavy equipment and is more slow-going, especially from a blizzard this large. They are urging people to stay off the roads, as traffic is still impeding plow progress. I have done snow removal for a long time (not this year). This is a record snow. Nobody is equipped to handle a storm of this size. Everyone was also dealing with a huge gas shortage. When you deal with snow amounts like this trucks and machinery break down. Employees break down from multiple days of exceptionally hard work with little to no sleep. All those employees have to dig their cars out before getting on the road for a treacherous and long ride to work just to dig your cars out. You end up losing some of your work force to exhaustion and just not being able to get back in to work. It also takes far longer to get from one job to the next due to impassable roads and regularly getting stuck and having to dig yourself out. So now you have more snow than ever before with less equipment than usual, a smaller work force, a gas shortage and the fact that it also takes them forever to get from job to job due to horrible road conditions. VDOT said the excessive demand on the customer service center phone line (800-367-ROAD) and www.vdotplows.org site has caused server problems, which are being addressed. “We have more work to do, and are working as hard and fast as we can,” says VDOT. Plow crews will be at full mobilization level for at least the next 48 hours, VDOT said. That means 4,000 pieces of equipment are in service, including over 450 pieces of heavy equipment, and additional heavy equipment and crews are being brought in. 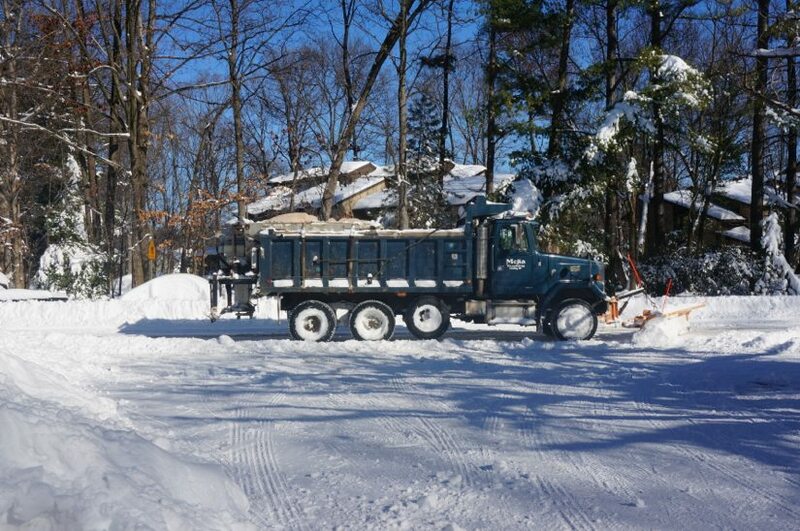 Crews are using equipment from VDOT and private contractors from as far as Connecticut. 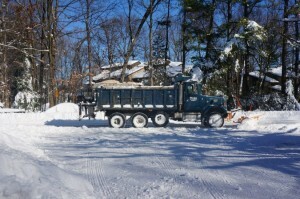 The agency says it invites contractors with loaders, Bobcats, motor graders and operators to contact VDOT Northern Virginia’s procurement office at 703-259-3240.